“I know this steak doesn’t exist. I know that when I put it in my mouth, the Matrix is telling my brain that it is juicy and delicious…” Many will recognise this quote from the iconic movie The Matrix. It expresses a science fiction idea that is getting closer and closer to becoming reality. 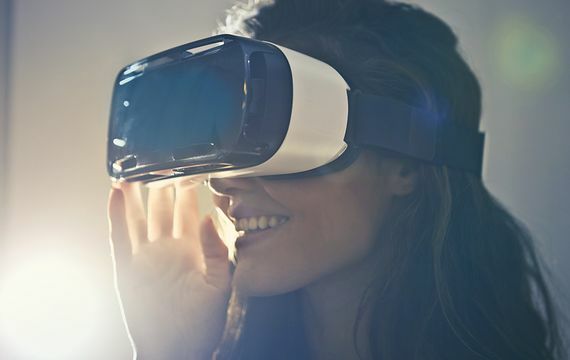 However, these advances are not happening thanks to the Matrix, but to the combined use of a series of recently created gadgets and devices that are able to stimulate and deceive our senses—from smart drinking glasses and cutlery to virtual reality helmets to foods and snacks that are definitely not what they seem. Despite its chewing gum appearance, Unlimited Electric Gum is actually a piece of piezoelectric material with electrodes, wrapped in a thin plastic cover. Piezoelectricity is a property of certain materials that are electrically charged when subjected to mechanical stress. In the case of this electric chewing gum, when chewed it releases small currents or discharges that stimulate the taste receptors of the tongue. Thanks to this, the device can supposedly mimic or simulate a wide variety of flavours. At the moment, it has only managed to imitate salty and bitter tastes, but the researchers from the University of Meiji (Japan) who created it are confident that before long they will be able to replicate many more tastes, with the added advantage that, unlike real chewing gum, electric gum doesn’t lose its flavour when chewed. It’s not hard to imagine some possible uses for this clever invention—for example, as a tool to help researchers discover new flavours. But some interesting medical and nutritional applications are especially easy to foresee, such as providing an alternative to sugared candies in order to prevent tooth decay or as a mechanism for controlling the appetite of people on diets. Vocktail is a smart cocktail glass that promises to turn a simple drink of water into any beverage the user desires, through a multisensory experience and with the added advantage of being 0.0 (0% alcohol and 0 calories). To accomplish this it has a series of devices capable of acting on the main senses involved in the tasting of the drink: sight, smell and taste. An LED light located at the base of the cup modifies its colour and a small tube on the side releases different aromas and, if a sparkling drink is desired, streams of bubbles. Invented by a team from the National University of Singapore under the direction of Nimesha Ranasinghe (currently at the University of Maine in the USA), the Vocktail can be operated with a smartphone, thanks to an application that allows the consumer to personalise the drink. 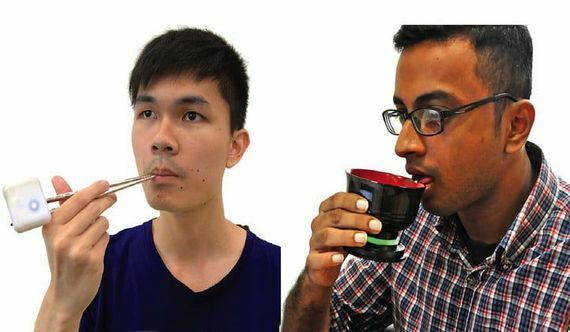 The same team from the National University of Singapore that created the Vocktail has also invented futuristic chopsticks and a soup bowl that promise to turn the dullest bite into something as tasty as the virtual Matrix steak. The effect is produced by tiny electrodes on the end of the chopsticks and on the rim of the bowl that stimulate the taste receptors of the tongue with small electric shocks. At the moment, the taste only lasts while the device is in contact with the tongue; once the contact is lost, the bite of food regains its original blandness. The investigators believe that this limitation is temporary and they are working to rectify it. Once again, the main application that is envisioned is to facilitate a healthier diet, since for example the need to add salt or sugar to food is eliminated. Over time, perhaps these devices will be able to make us believe that we are enjoying an irresistible slice of greasy bacon when we are actually munching on a piece of healthy but tasteless tofu. 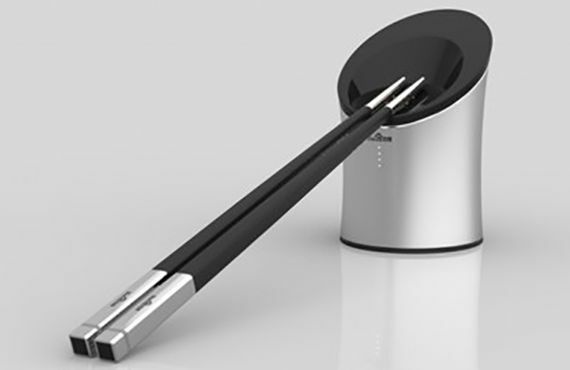 The above are not the first smart chopsticks—that honour goes to those introduced in 2014 by the Chinese company Baidu, although in this case their function is not to simulate, increase or stimulate flavours. Instead, what they do is provide nutritional information and, especially, detect possible sources of poisoning and contamination in food, lighting up to warn the user. 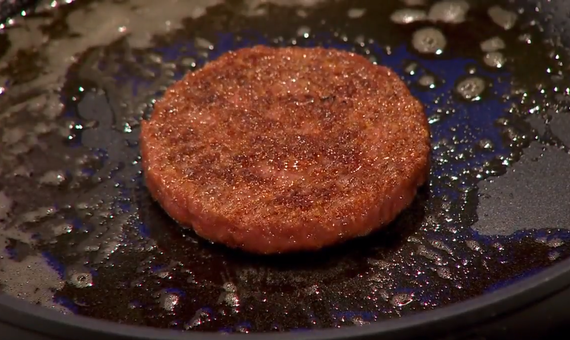 The initial prototype was specifically designed to detect if the food had been cooked using excessively reused oil, which may contain toxic by-products from the thermal degradation of the fatty acids. The company says that subsequent versions will be able to measure salt and other nutrient levels, as well as estimate calories and detect the presence of more contaminants and toxic compounds. The curious thing is that the original idea was to create a gadget for April Fools’ Day with the intention of alarming the unfortunate user when the chopsticks suddenly lit up, announcing a supposed toxicity, a joke whose underlying idea was so transcendent that it ended up becoming a serious project. “When we eat we not only perceive the taste and the smell of food, but we also receive other stimuli from the environment through the eyes, the ears and even memories.” This is, in the words of one of its researchers, the starting premise of a pilot project launched in 2018 at Cornell University (USA), whose goal is to determine how the use of a virtual reality helmet capable of transporting us to different fictitious locations affects our perception of food. In the original experiment, a group of volunteers equipped with these helmets had to taste and evaluate pieces of cheese (all cut from the same wedge) in three virtual environments: a laboratory, a park bench and a barn. The results were unequivocal: the cheese tasted in the virtual barn had the strongest and most intense flavour. Of course, we all have to eat—but what? It is likely that some of the food of the future will be derived from so-called cellular agriculture, in other words, the in vitro growing of muscle cells—together with fat cells to improve texture and palatability—from stem cells extracted from young animals. These cells are introduced into a bioreactor filled with a growth medium with sugars and amino acids, which mimics the conditions of the body. The objective is to stimulate cell division and the merger process by which muscle fibres are manufactured. Each of these stem cells can give rise to 75 generations of cells in three months, which in theory would produce enough muscle tissue to make millions of burgers of cultured meat (also known as clean meat). The FLDSMDFR machine, which stuffed the characters’ bellies in the movie Cloudy with a Chance of Meatballs, doesn’t seem so amazing anymore.